Dr Peter Lowe investigates a staging of the storming of the Winter Palace, and the way it was used by the Soviet state to alter history. The recent exhibition ‘History Was Made Here’ at the Hermitage in Saint Petersburg (the documentary film of which will be screened at Pushkin House on 28th November) showcased the museum’s unique place in the story of the Russian Revolution. As the home of the Provisional Government, the Bolsheviks saw the Winter Palace as a symbol not only of the Tsarist order discarded at the start of 1917, but also of the ineffective administration that held power in its place. When Red Guards forced their way into the Palace on the evening of 25th October (7th November in the revised calendar) and arrested the ministers they found inside, they delivered the final blow to a regime that was no longer in control of the events unfolding around it. That the Palace was itself less than heavily guarded and occupied mostly by those inclined more towards surrender than resistance were things the Soviet state would choose to overlook in the years that followed. For the purposes of commemoration the storming of the Winter Palace would be the crucial, defining episode in the glorious narrative of ‘Red October’. The 1918 celebrations that marked the first anniversary of the Revolution were structured around a series of street parades and rallies. The city of Petrograd (as it was still named) was decorated for the festivities but the Winter Palace itself had no direct use at this symbolic time other than providing a venue and accommodation for delegates attending the Northern Oblast Congress of Committees of the Village Poor, which was taking place alongside the Revolutionary commemorations. Things changed significantly in 1920, when it was decided that the third anniversary of the Revolution should be marked with a ‘mass spectacle’. This form of large-scale pageant, with hundreds (sometimes thousands) of ‘citizen-actors’ taking part, had been used before, particularly in Petrograd, as a symbolic event to collectively ‘re-live’ and remember the Revolution’s success. On 1st May 1920 the steps of the city’s Stock Exchange had hosted the ‘Mystery of Liberated Labour’ (directed by Yuri Annenkov) in which workers were seen trying unsuccessfully to ascend and gain entrance to the ‘Kingdom of Freedom’ at the top. Symbolically claimed by the workers after centuries of struggle, the Kingdom of Freedom became the site of a tower decked with red ribbons, around which participants and spectators joined in the singing of the ‘Internationale’ at the end of the evening. For the actual anniversary of the Revolution, however, Nikolai Evreinov, the theatre director who had been employed to manage the spectacle, chose to use the Winter Palace itself as the stage set. With the documents and photographs collated in Inke Arns, Igor Chubarov, and Sylvia Sasse’s book The Storming of the Winter Palace (2016) we can appreciate how Evreinov worked with a creative team to realise his vision for the crowds who gathered to watch. Attendance figures are disputed, and the cold and damp weather may have played a part in this, with figures between 60,000 and 150,000 cited in different sources, but there were certainly more people in Palace Square that evening than had been there in 1917. In an interview by the newspaper Zhizn’ iskusstva ten days before the performance, Evreinov spoke of how “the Winter Palace itself has been included as a performing actor, as an immense character with a body language and inner emotions of its own.” Using lighting effects and “cinematographic language” to turn its upper-storey windows into ‘screens’ he hoped that the audience in the Square would be able to see events occurring inside the Palace in the crucial moments prior to its capture, allowing its “stones to speak” as he put it. And so it was that in 1920, as in 1917, armed revolutionaries raced across Palace Square when a salvo fired from the cruiser Aurora provided the signal for action. 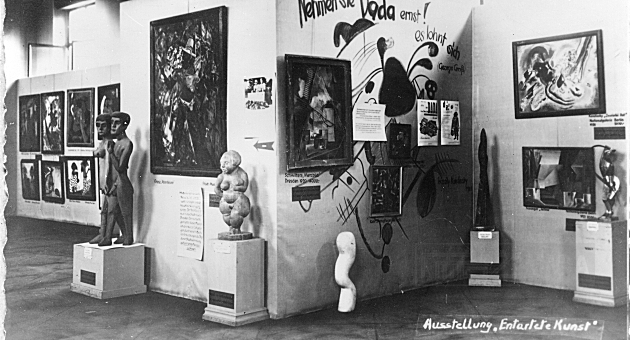 Prior to its denouement the spectacle featured tableaux of scenes building up to the Palace’s capture, reminders of the Provisional Government’s failures and the crisis that precipitated Bolshevik action. Two stages – named ‘Red’ and ‘White’ in front of the General Staff Building on the southern side of Palace Square – represented the opposing sides in the revolutionary struggle. On the one stage, spectators saw scenes of bureaucratic confusion and incipient autocracy from Prime Minister Alexander Kerensky and his followers: on the other the masses resisted attempts to repress them and organised themselves into the crowd that would ultimately make its way across the Square and into the Winter Palace itself. In the years that followed, photographs of Evreinov’s spectacle would find themselves reproduced on posters and in Soviet history books as if they were indeed records of the original event. One particular image, showing the ‘Revolutionaries’ racing across Palace Square was passed off, sometimes unconsciously and sometimes knowingly, as documentary proof of the crucial moment in Soviet history. This overlooked the fact that the photograph was clearly taken in daylight. It was not, of course, an image of the 1917 seizure of the Palace, or even of the 1920 re-enactment – both events taking place at night when such photography would have been impossible – but was in fact a photograph of the dress rehearsal for the 1920 re-enactment, which had been held a few days earlier. Comparing two versions of the same image allows us to see the ‘control tower’ set up near the Alexander Column to allow Evreinov to co-ordinate events in the Square, along with a host of onlookers who would surely not have been standing around on the night of 25th October 1917. Given the ease with which the Soviet state was able to manipulate and restructure its own history in the 1920s and 1930s, however, this fabrication of the historical record was entirely in keeping with the need to give formative events a sense of historical inevitability. The effect of Evreinov’s ‘Storming’ of the Palace was to replace, in the Soviet imagination, the actual event with something spectacular enough to make the Revolution’s origins seem much grander than they may once have been. A few years later the film director Sergei Eisenstein would capture the drama of those 1917 days in his film October, commissioned to mark the tenth anniversary of the Revolution. Eisenstein was given full use of the Winter Palace for his film, which provides one of its most famous sequences as the massed ranks of Red Guards seize the Palace after a pitched battle with its numerous defenders. So intent was Eisenstein to extract the greatest possible sense of drama and spectacle from this scene that he famously did more damage to the Palace in the filming of his re-enactment than had been caused in the original seizure. By then, however, as Evreinov’s 1920 spectacle had already demonstrated, historical ‘reality’ was not really the issue. The Soviet state was happy if its re-enactments were accepted as authentic records of a Revolution that could never be too dramatic for the regime’s taste. The Winter Palace and the Hermitage in 1917: History was made here is screening at Pushkin House on 28th November at 7pm. Tickets are available here. For the past six months I have been running an applied theatre project, working with women experiencing homelessness in Russia. Broadly speaking, applied theatre is the use of theatre and performance for social change, often as a response to social or political challenges. It involves using theatre techniques with people who don’t consider themselves to be artists, creating work outside of traditional theatre spaces in order to discuss, educate or heal. All participants are involved as active theatre makers in the process and the aims of the project are dictated by what the community thinks they need. I’ve worked with more than 30 women over the duration of the project. Some are affected by war, including the ongoing conflict in the Donbass region of Ukraine and South Ossetia in the Caucasus. Many have left violent and abusive partners and some have been defrauded out of their homes. Others have disabilities and ill health which prevent them from working, and they do not receive any support from the state. I’ve even worked with a participant from Cameroon, who came to Russia during the World Cup as a refugee using a Fan ID. Their routes to homelessness are multiple. What they share is one thing: the way homelessness disempowers, makes invisible – the way they are by and large, silenced. Homelessness is a big problem in Russia. Official government statistics say 3.4% of population is homeless – but it isn’t clear whether this includes ‘invisible’ people who aren’t registered. By way of comparison, 0.46% of the UK population is homeless. The problem has a particularly sinister way of affecting women, who face having a period without access to supplies, the risk of sexual assault, and being pregnant without access to services. One of the biggest barriers to dealing with homelessness in Russia is the stigma that surrounds it: the belief that people are homeless because of choices they have made. This is a common belief across cultures, though the reality is homelessness is not a choice and safe, secure housing is a right for everyone. My project culminates in a one-off performance of our play ‘This is Not a Hat’ on 10 October, World Homeless Day, in partnership with Russian theatre company Teatr.doc. The formidable creative team includes dramaturge Anastasia Patlay and designer Shifra Kazhdan. Our aim is to use theatre as a discourse and facilitate a dialogue about the stigma surrounding homelessness. The performance will feature both audience members and project participants. Throughout the process of creating the play, I have used ‘exercises or games designed to uncover essential truths about societies without resorting to spoken language’, to quote Adrian Jackson, founder of the UK’s first theatre company focused on homeless people. The performance will feature a number of these exercises too. For example, in one exercise, participants are asked to identify two other people in the room and label them ‘bomb’ and ‘shield’. Participants have to walk around the room keeping their ‘shield’ between themselves and their ‘bomb’. Discussing the response to this exercise as a group can help shed light on what it feels like to be someone’s ‘bomb’, what it feels like when someone avoids eye contact and rushes past you. In another exercise, I ask participants to stand in a circle facing outward. I give them a word as a prompt (for example a dragon, a boat, the colour red) and they have ten seconds to turn in to the circle and use their bodies and faces to create a still image in response to the word. During one workshop I ran this exercise and prompted with the word ‘home’. In response, Kristina, a 34-year-old mother of one who has been defrauded out of her home in the far east of Russia, mimed being asleep. When I asked what she was dreaming about she said, “A world of love and safety. My family around me, around the table, with freshly baked bread and a glass of homemade wine in my hand”. Natalia Jafar-Biglou is a British Theatre Practitioner of Polish and Iranian descent. She uses theatre techniques to create spaces for conversation, empowerment and transformation in communities. For more information about Natalia’s work in Russia visit her theatre company: www.koloboktheatre.com. For more information about ‘This is Not a Hat’, being performed at the Fergana House in Moscow, see the event’s Facebook page. For more of Teatr.doc’s work, Pushkin House is hosting a reading of a new play about the deaths of the group’s founders, next Friday 19th October. Tickets are available here. Also, on 20th October we are showing video excerpts of the company’s most significant performances. More information here. Jeremy Poynton describes his school trip across Russia, Georgia and Ukraine at the peak of Soviet power. I have always felt very fortunate that I had the opportunity to visit the USSR. This happened as the school I was at, The Leys School in Cambridge, was one of only a few to have a Russian teacher; Mr. Armstrong was so fluent in Russian that he twice turned down offers from the UN to work for them as an interpreter. Happily he remained a language teacher – his vocation. He had visited the USSR before – and been arrested. He took a picture of an old lady with a basket of mushrooms, not noticing that in the background there was a watchtower belonging to some sort of military installation. Within minutes he was surrounded – luckily he managed to persuade the police he was not a spy! 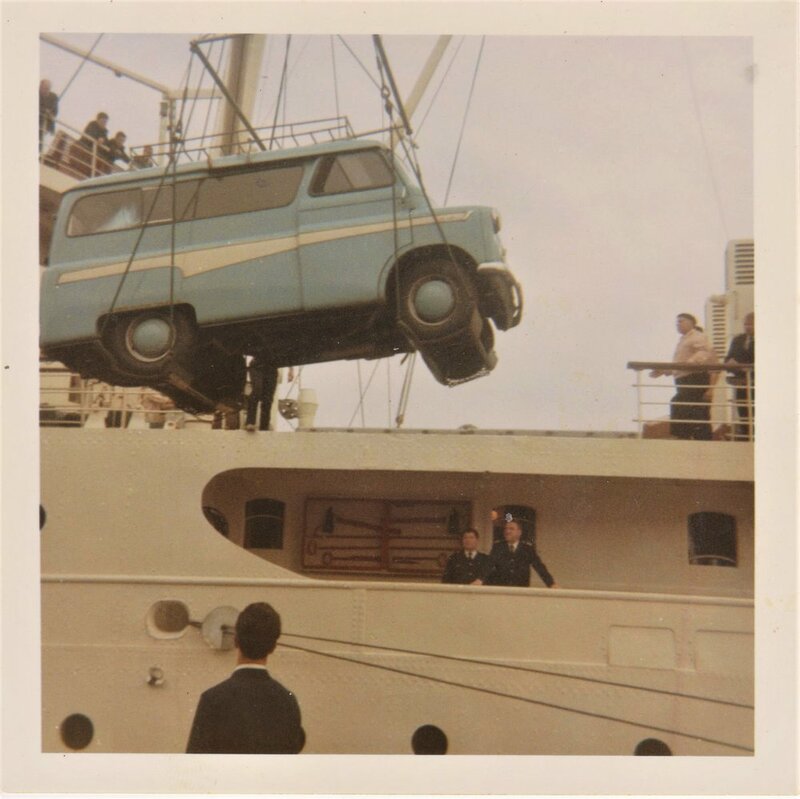 So in July of 1968, Mr. Armstrong, along with another teacher, an ex-pupil and eleven current pupils including myself, set off for the Soviet Union in a Bedford Dormobile van (shown below, being loaded onto the ship), and a Morris Minor Convertible. We embarked at Tilbury and a three day voyage across a very stormy North Sea saw us land in Leningrad, to start a trip that would take us through Novgorod, Moscow, Kursk, Kharkov, Pyatigorsk, the Caucasus, Tbilisi, Sochi, back up through Rostov-on-Don and finally Odessa. Of course, at this time the Prague Spring was coming to its end. As a 16 year old, I had no interest in politics, other than knowing that the Cold War was at its fiercest. I still recall the Cuban Missile crisis and the fear that gripped everyone at the time. At the same time, I was fascinated to take a look behind the Iron Curtain. I was by no means a teenage Marxist, though there were a few at school (and even a token Maoist!). Leningrad I loved; waterways everywhere, extraordinary Orthodox churches, so ornate and resplendent. We spent much of one day in the Hermitage; again, as a 16 year old I had little awareness of fine art, but was still awestruck at the extraordinary collection there – in truth, one would need much of a lifetime to take it all in. 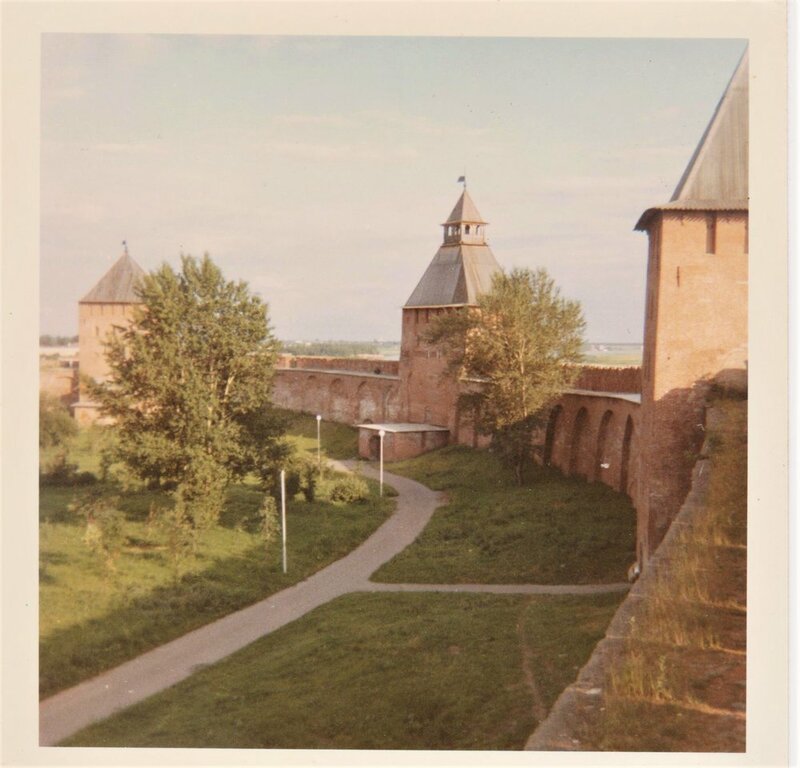 On to Novgorod – I can still recall the wonderful old City walls there, and buying kvas, a rather revolting fizzy drink! 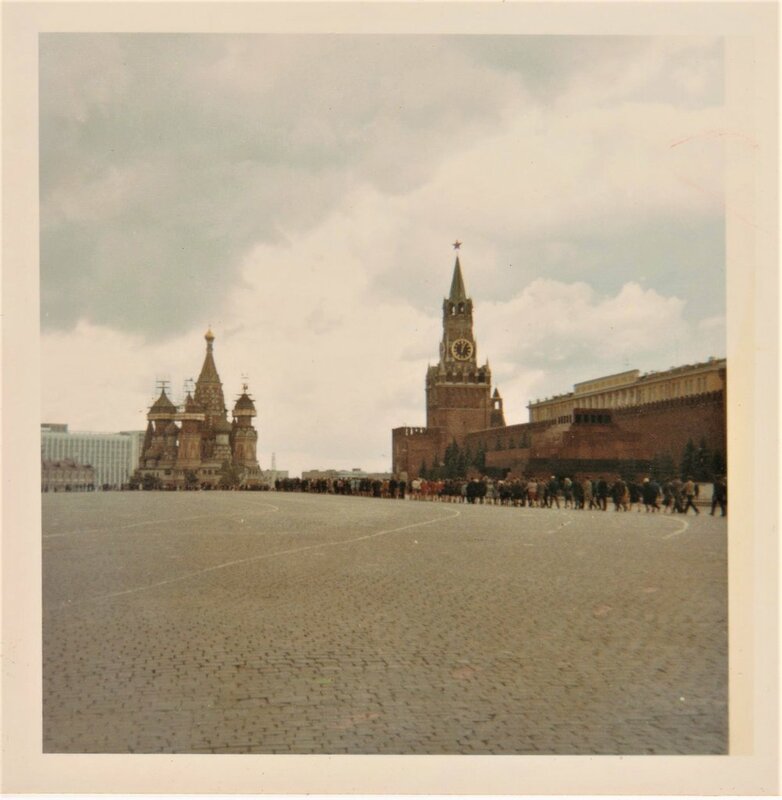 Moscow I think was a disappointment after Leningrad and Novgorod; huge, hot and dusty; the Red Square and St. Basil’s of course impressed, as did a visit to the Kremlin, where I remember being staggered by the collection of Romanov Fabergé eggs. And the metro was magnificent, making the London Underground look very paltry and shabby indeed. In both Leningrad and Moscow we had strangers come up to us and show us some of the magnificent cemeteries there. One in particular I remember had a photo of a pilot, and on the obelisk above his grave was attached a full size propeller! It was in one of the cemeteries in Moscow where we ran into the state, so to speak. A student came up to us to talk to us, and it turned out he was a Czech at Moscow University; he wanted to know if we knew what was happening in Prague. We didn’t, but very rapidly we had two plain-clothes policemen with us, one with his gun out. The student was marched off at gunpoint, and we were told in no uncertain terms not to talk to strangers. This was hard, as people came up to us all the time when they saw we were from the West (wearing jeans was a good sign – I was offered ridiculous sums for my Levis! ), they wanted to know what was going on beyond the Iron Curtain. Nowhere did we meet with any hostility. Another Czech student who approached us elsewhere was arrested – this time by soldiers, at rifle point – before we could warn him away. Random memories. Buying vodka in a vodka bar. Go to counter. Hand over money, get a glass, small bottle, and a few slices of salami. And back again. And a truly terrible meal in a cafe, which I think was noodles and gristle. We did have some good meals along the way though, two in railway station restaurants which we were told were generally good; my first Borscht was, I recall to this day, delicious! My memories from Moscow onto the Caucasus are dim – a lot of road, rolling steppes, and nothing that stood out. One memory – stopping in a very poor village where a funeral was about to take place at the little church in the middle; the dead man was laid in an open coffin, with pennies on his eyes. I knew this was a tradition in some parts of the world – nevertheless, it was odd to see it. The evident poverty of the village was plain to see. Pyatigorsk is the next stop that I remember, near the splendidly named Mineralnye Vody. Pyatigorsk, on the approach to the Caucasus with the mountains ahead, was lovely. There was a lake which we swam in, and got shouted at when a couple of us decided to swim right across it! Driving into the Caucasus the scenery became spectacular. We stopped at one place where pipes came out of the mountain side, with carbonated water pouring out of them, and people refreshing themselves there. Also, a gaggle of wild and woolly men, who had just slaughtered a sheep, invited us to share the truly delicious kebabs they were cooking over their fire. We were told that the Trans-Caucasian highway was one of the marvels of Soviet road building. Well, maybe 400 yards were tarmacked – then it might as well have been river bed! Winter floods destroyed the road. Every winter! So our drivers had to pick their way carefully along the “road”, avoiding potholes and boulders. The scenery was spectacular – by one rushing river, we stopped for lunch, and a few of us climbed the steep side of the hills to explore caves which had clearly been used as homes or places of refuge. Setting off from our campsite we decided we would go up into Chechnya a little way to take a look see. (By the way, our whole trip and every stop had to be pre-documented for approval before we came. We had an Intourist guide with us all the way, though we got rid of one as he was a drunk!) Chechnya was extraordinary – we stopped at a village, with small stone homes, that had the most curious beehive shaped stone buildings clustered a little way off. Speaking to the locals – who were clad in furs, and all the males were bearing ancient rifles – we found that the buildings were plague homes; whenever somebody in the village got the plague, they were put in these buildings and left to die. If you were “rich”, you got one to yourself or family. The others were jam-packed with bones and skeletons. The locals did know of Manchester United. Thanks to Mr. Armstrong, by the time we left, they also knew of the new football league champions, my team, Manchester City! Returning to our agreed route, we were hauled in by the local police, and charged with trying to destroy the Five Year Plan. I am not jesting. Quite how we got out of it, I don’t recall – I suspect after due deliberation, the officers decided that arresting 14 Brits in the middle of nowhere might not be the best thing to do! And thence to Georgia. Lovely Georgia. It was like emerging into a Mediterranean country; cafes with tables on the streets, edible (gorgeous) flat bread, kebabs, lovely wine and some grape derived spirit we had at one vineyard, which left my eyes spinning for a few hours. Small and very old Orthodox churches here, there and everywhere, almost all abandoned, almost all covered with wonderful frescoes. Three, I think, great days based in Tbilisi, where, each night at 6pm on the dot, the heavens exploded and a monumental electrical and rain storm pounded us and the nearby mountains, finishing on the dot at 6.15pm! We were heading for Odessa, from where we would leave the USSR, taking a ferry to Istanbul; our first stop after Tbilisi was of course Gori, to visit the Josef Stalin museum. (I would add that whilst we were driving through the Caucasus, painted in 20 ft high letters on the side of a cliff was “Long Live Stalin”!) I don’t remember a lot about it, bar that the house was within a marble shell to protect it, and there were many Stalin era, somewhat kitsch in hindsight, paintings of the great men and various people. Lenin we think had been “paintshopped” out of many of the pictures, although there were a couple in which you could see him peeping out from behind a crowd of people. Slightly surreal! Thence, travelling inland of the coast, through some lovely hilly and forested countryside, to Sochi, were we slept on the beach; behind us a Soviet style “holiday” camp. Sochi was then the prime holiday place for those who could take them in the USSR. Sea and sand, a promenade by the beach, and at table after table, people playing chess. From Sochi we went through Batumi, to Odessa, where we embarked early, got the vehicles loaded and spent the day in Odessa, visiting of course the Potemkin Stairs, and in the evening, going to the Opera House to watch Boris Godunov. I feel very lucky to have experience this. We were aware of great hardship all around us, worse as you got away from urban areas, and it did seem that people’s spirits were, if not crushed, subdued. Regardless, I remember great friendliness and many loca happy to show us around wherever simply to be able to talk from people from the West and to practice their English. And I still have my passport, stamped with entry at Leningrad, and exit at Odessa. In 19th century Russian literature there is usually an abundance of stereotypes: rich landowners, unruly peasants, drunken and gambling officers, miserable clerks, but also reckless Cossacks, exotic Circassians, singing Gypsies, German tutors, French mademoiselles and the odd Finn. These stereotypes quickly set the scene for the reader and create a sense of ‘us’ versus ‘others’. But Russian literature wouldn't be as good as it actually is if it just left it at that. It takes the stereotype and forces the reader look at it again, and at themselves - are we really any better? What would we do if we were in their position? To mark the just-passed 100th anniversary of Finland’s founding as a state, let us explore the links between Finnish national stereotypes and the work of Russia’s greatest poet, Alexander Pushkin. Were household names to every son of Finland. We could expect a fight. Scarce dreamed of before known. From the first blow he dealt. Alexander Pushkin (1799-1837) is still seen as Russia's national poet and his patriotic words still strike a strong chord of pride with many Russians. His legacy has contributed to the Russian identity, just as The Kalevala and the poetry of Runeberg have shaped Finnish identity. What may be more interesting is how his works have shaped the depiction of Finns. In his works we can find three very different examples of Finnish stereotypes in Russian literature. The first (the sorcerer) in the narrative poem Ruslan and Ludmila (1820); the second (the dutiful worker) in one of The Tales of Belkin (1830) - ‘The Undertaker’; and finally the most famous of all (the fisherman), in the narrative poem The Bronze Horseman (1833). Ruslan and Ludmila is a fairy tale set in ancient Russia. Ludmila, the young wife of the hero Ruslan, has been kidnapped by an evil dwarf called Chernomor during their wedding night. On his journey to find her, Ruslan encounters an old man. It turns out to be a good Finnish wizard who helps him to find Ludmila. The old man, Finn, tells Ruslan his own story: when he was a young shepherd he fell in love with Naina, but she rejected him. To impress her he fought in wars abroad and returned to her with treasures, but again she rejected him. As a last resort he studied sorcery for years and years, but when he finally casts a love spell over Naina, he notices too late that she has turned into an old crone. He rejects her and now the old hag Naina hates Finn and takes sides with Chernomor. With the help of Finn, Ruslan is able to win his bride back and save Kiev in the process. Pushkin's knowledge of Finnish mythology probably comes from the Russian historian and writer Karamzin, who Pushkin admired. Until Elias Lönnrot wrote down the Finnish myths in The Kalevala in 1835, they were passed on orally, and obviously some legends reached Russia. There are similarities between the good wizard Finn and the wizard Väinämöinen from The Kalevala. Ruslan and Ludmila confirms the popular belief in Russia that Finns “had a way with magic”. This is a story of good and evil, of struggles and unexpected encounters, of having faith that the good will eventually conquer, and of using your powers not for personal gain, but to help others: a typical fairy tale. But if we look simply at the names, it is literally Finn helping Ruslan. there's lore mysterious and awesome. dwells deep in the primeval stillness. to elements of highest wisdom. what has been and what is to come. over not only death but love. Compared to the German tradesmen living in Moscow, Yurko the Finn is Russian. This shows different degrees in foreigners, clearly those belonging to the Russian empire were somehow less foreign. Yurko is described as honest, loyal and hardworking, typical Finnish characteristics, but he can eat and drink like a Russian. During the French invasion of Moscow in 1812, Yurko’s yellow sentry-box burned down and he had to build another one. Unperturbed, he has fulfilled his duties for twenty five years. However, the Germans and the undertaker befriend him primarily because he can be useful for them, not because of his good characteristics. Yurko embodies the way in which Russia saw Finland: as a useful buffer between Russia and Sweden, the innocent bystander in Russia’s conflicts, and a potential ally in wartime, better as a friend than as an enemy. But Yurko has the last laugh as he jokes to the undertaker that he should drink to the health of his clients. This causes the undertaker to have a terrifying nightmare in which his dead clients come to haunt him and reprimand him for ripping off their next of kin in their moments of grief. Pushkin leaves it to the reader's imagination whether or not the undertaker shall better his life. The most famous description of Finnish people in Russian literature, “nature’s poor foster child”, comes from Pushkin's well-known poem The Bronze Horseman. The poem is about the great flood of 1824 in Saint Petersburg. The protagonist Evgenii loses his fiancé in the flood, and soon he loses his mind too. He curses the statue of Peter the Great, and the statue suddenly comes to life and chases Evgenii through the streets of Saint Petersburg. Later poor Evgenii is found dead, washed up on some desolate shore. It is one of the most influential works of Pushkin. In the introduction Pushkin describes Peter the Great as he envisions a new, splendid city on the banks of the Neva, a territory that was recently conquered from the Swedes. That area was at that time sparsely inhabited by mostly Finnish people. Neva is the Finnish word for bog, or swamp. The first impression is that in a place where Finns were merely fishing and making a poor living, the Russians succeeded in building a magnificent city. On the other hand there is the image of the humble Finn, in touch with nature and less impacted by natural disasters; he is timeless and can always continue fishing, whereas Saint Petersburg was not a complete success: it had a hard time fighting the elements and was regularly plagued by floods. One of the themes of the poem is man versus nature, something that Finns are perhaps better at. I'm Elisabeth van der Meer, Dutch and recently moved to Finland. I have a blog on which I share my enthusiasm for (mainly 19th century) Russian literature and try to make others see what's so great about it. I enjoy digging into specific passages, subjects or characters, trying to find connections and meanings hidden behind the surface. I'm also fascinated by the lives of these great writers, that were often at least as interesting as their works. To me Russian literature is an inexhaustible source for subjects to write about.